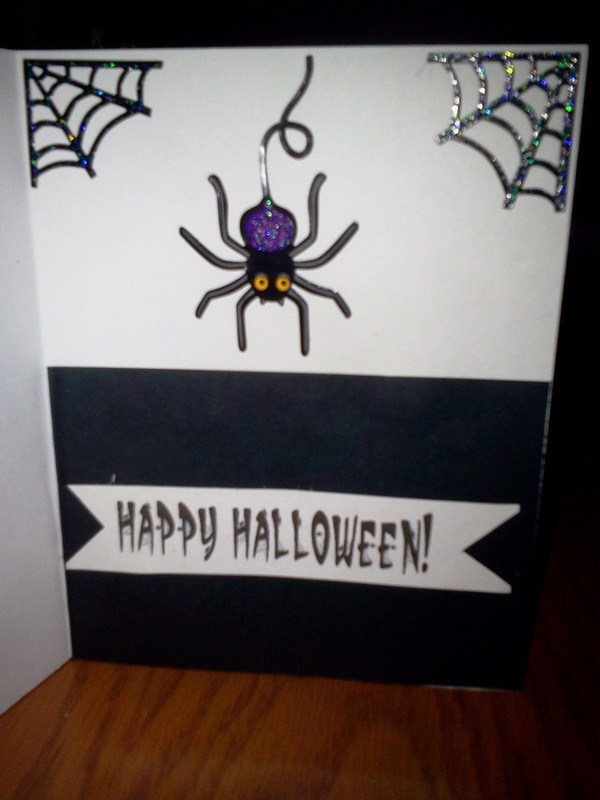 This is the last card I made for My Fun Crafts Halloween card swap. 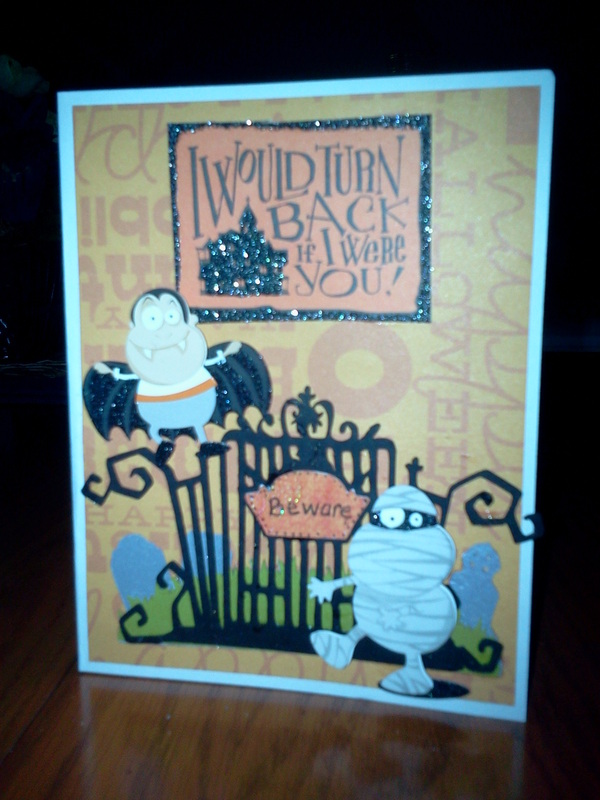 I used Cricut Happy Hauntings for the gate and recollection stickers for the mummy and Dracula. 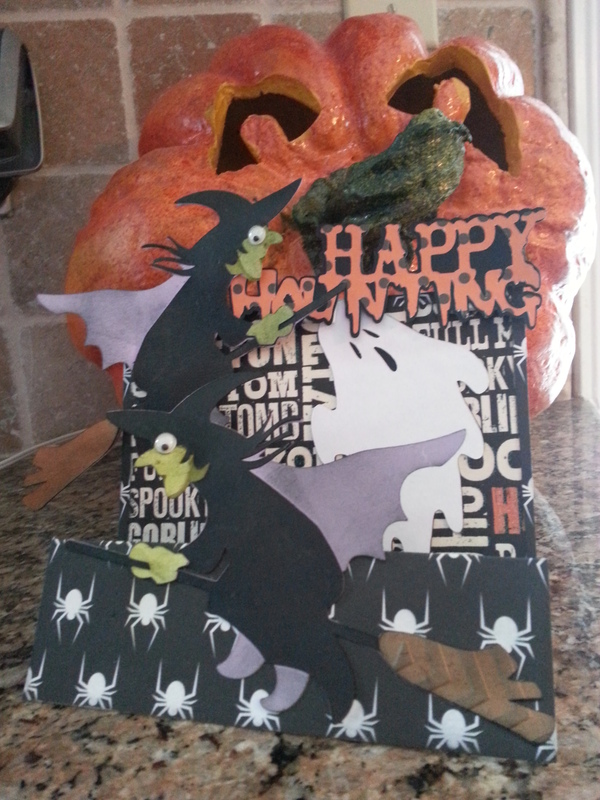 The paper is from Martha Stewart Halloween paper pack from last year. 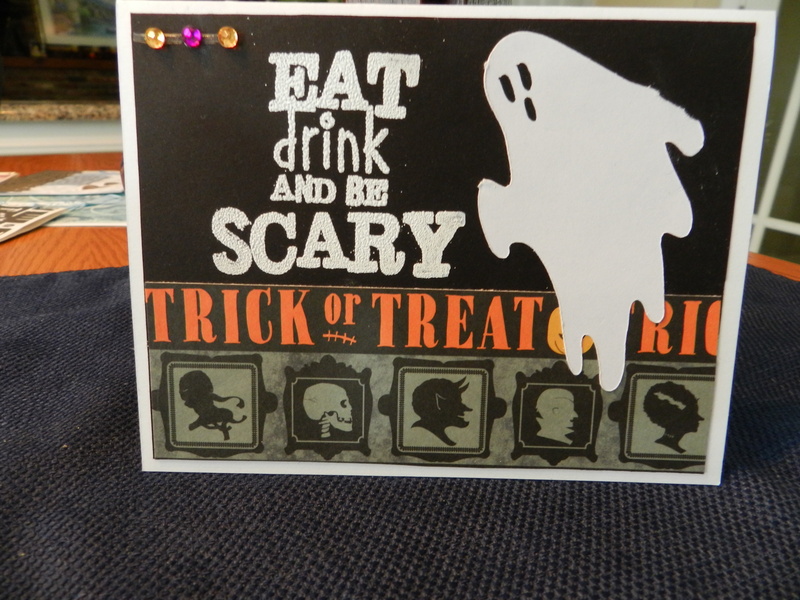 I used the Happy Hauntings cricut cartridge, reflections paper and Martha Stewart embossing powder. 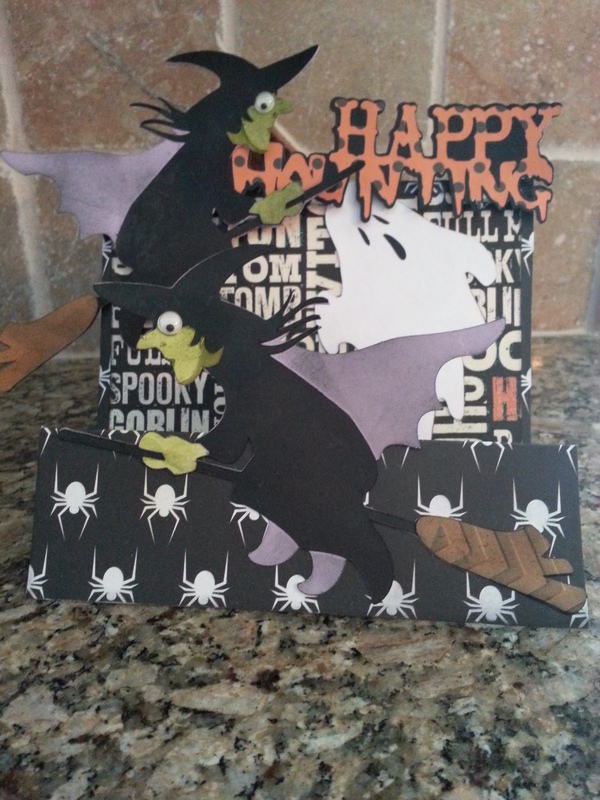 Halloween card for OWH box I am sending this week .